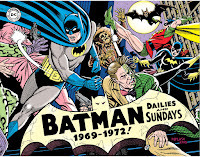 The Fellowship was fortunate enough to obtain a copy of BATMAN SILVER AGE NEWSPAPER COMICS VOLUME 3 1969-1972 from IDW Publishing and The Library of American Comics. The stories are by Whitney Ellsworth & E. Nelson Bridwell, with art by Al Plastino & Nick Cardy, and letters by Milt Snapinn. This was an interesting time for the caped crusaders. As mentioned in the introduction by Joe Desris, this was a period of transition for Batman and Robin. The tone of the strips (as well as the regular books) changed from camp to more serious stories. Robin went to college and fought crime alone, and Bruce and Alfred leave Wayne Manor for the penthouse in the city. While the stories are (for the most part) enjoyable, the art is uneven. Sometimes it's very strong work, other times not so much. The later strips than were done by unknown creators without the approval or authorization of DC Comics. The introduction will give you more information regarding this unusual development. Batman fans (or anyone who is interested in this period of time for comics in general) would find this collection interesting. 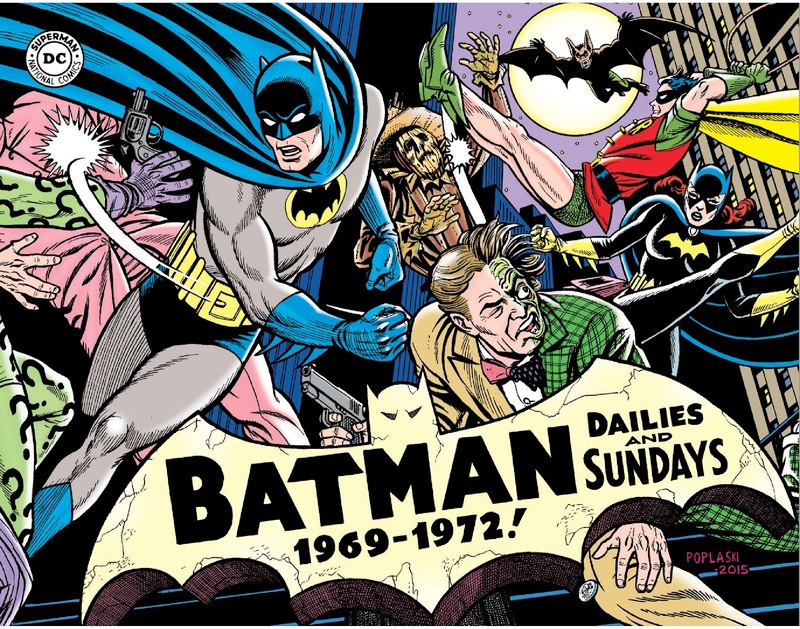 BATMAN: SILVER AGE NEWSPAPER COMICS VOLUME 3: 1969-1972 is in stores now or available at www.idwpublishing.com.